Newly released text messages between controversial anti-Trump FBI agents Peter Strzok and Lisa Page reveal several leaks of confidential information to Wall St. Journal reporter, Devlin Barrett, who is now with the Washington Post. Following the release of the timestamped texts by Senate Judiciary Committee Chairman Chuck Grassley, Conservative Treehouse compared the timing of the messages between the agents and tied them to several instances of Barrett breaking news or confirming rumors based on "sources" within the government. 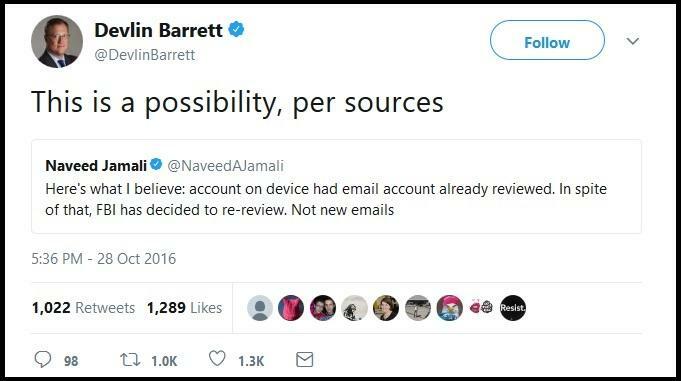 ​Sources, as in Lisa Page - who Barrett was just (or still) on the phone with. 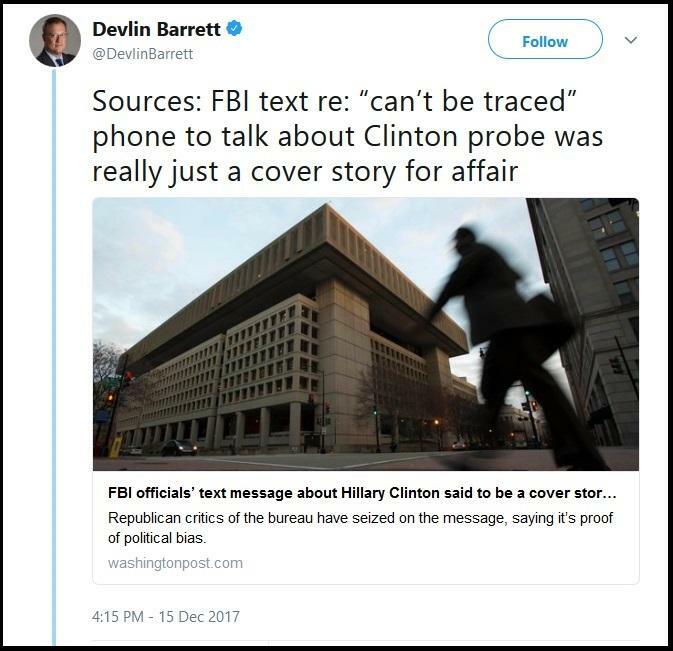 Looking back upon the released text messages, and comparing them to reporting by Devlin Barrett, another specific article jumps out. "So look, you say we text on that phone when we talk about Hillary because it can't be traced" "You were just venting, [because] you feel bad that you’re gone so much but that can’t be helped right now." 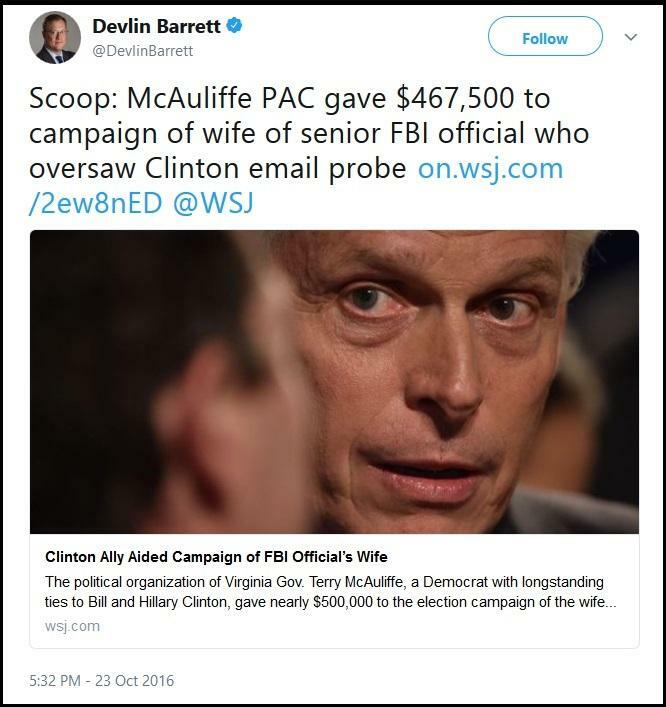 We now have what appears to be evidence of an FBI official leaking information to a WSJ / WaPo reporter, who subsequently tweeted and wrote articles defending Page and Strzok, while throwing FBI deputy director Andy McCabe under the bus. Then again, as the Conservative Treehouse notes, former FBI Director James Comey was doing the same thing.